This from our partners at C-SPAN: C-SPAN is visiting Spokane from July 2 to 6 to feature the history and non-fiction literary life of the city on the cable network’s non-fiction book channel BookTV (on C-SPAN2) and history channel American History TV (on C-SPAN3). 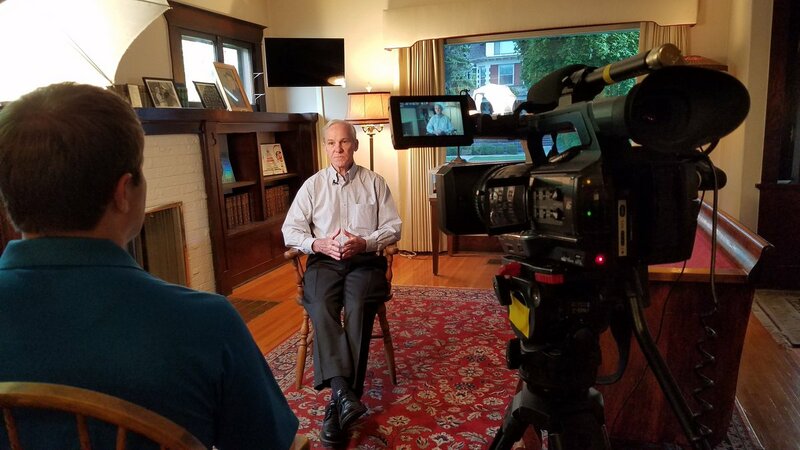 In conjunction with its partners at the Comcast offices in Spokane County, the C-SPAN Cities Tour producers will visit various literary and historic sites, interview local historians, non-fiction authors and conduct education and community outreach in the area. Local segments recorded during July 2 to 6 will air on BookTV (on C-SPAN2, Comcast channel 28) and American History TV (C-SPAN3, Comcast channel 150) throughout C-SPAN’s special Spokane weekend on September 2 and 3. Spokane programming highlights will include an interview with Spokane Mayor David Condon. The Campbell House – topics include: mining, Spokane commerce and trade, labor, and more..
C-SPAN’s 2017 Cities Tour takes Book TV and American History TV on the road. C-SPAN2 (BookTV) and C-SPAN3 (American History TV) are featuring the literary life and history of each of these selected cities during special weekends on the public affairs network. If some of this sounds familiar, the crew was also recently in Tacoma. The programs C-SPAN produces in Spokane will air throughout a special Spokane feature weekend September 2 to 3. Literary programming will air on Book TV (on C-SPAN2, Comcast channel 28) and history programming will air on American History TV (on C-SPAN3, Comcast channel 150). C-SPAN is available in Spokane on Comcast channels 27 & 645. For more information, visit the C-SPAN Cities Tour website and follow the program on Twitter @CSPANCities.